Presenting ultrasound pathology from a clinical perspective, this unique resource discusses various pathologies that may be related to a patient's symptoms and features illustrations with ultrasound scans that demonstrate each pathology. Organized into four major sections - abdomen, obstetrics, gynecology, and superficial structures - each symptom is presented in its own chapter along with key terms, an introductory paragraph, a clinical scenario, discussions of pathologies, illustrations, and patient scenarios. Instructor resources are available; please contact your Elsevier sales representative for details. Symptom-based presentation makes it easy for beginning and experienced sonographers to quickly find information related to the patient's symptom. Summary tables of differential diagnoses and sonographic findings provide you with a brief overview of all chapter material for quick reference. Clinical scenarios at the beginning of each chapter help you learn to apply information to the clinical setting. Case studies and discussion questions give you the opportunity to enhance your critical-thinking skills and measure your comprehension of material. Over 900 ultrasound images correlated to the pathology illustrate what you'll encounter in the clinical setting. Glossary helps you define important terminology. 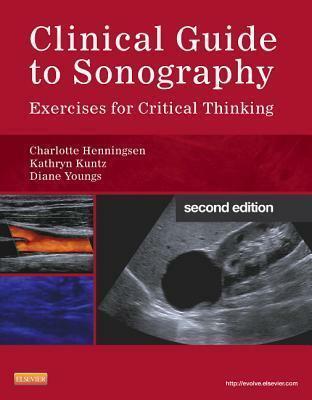 New chapters provide you with more complete coverage of the pathology sonographers encounter in practice. New case studies with critical-thinking questions set up realistic situations for you to use as a frame of reference. 600 updated images produced by the latest technology keep you on the cutting-edge of sonography.